I was making my own little graphics from my phone before I met Mario. At that time I thought it would’ve been ok to do, but then Mario brought me to the bigger picture. He showed me how to provide quality as well as value to my products. My frustration was to see other people with decent graphics and I was doing mine by myself. The graphics that I was making weren’t bringing the attention that I was looking for. The services Mario has helped me with not only helps bring value but also helped me gain a huge boost of confidence for my projects. Life is very different now that I know more about marketing and how to target my own audience. 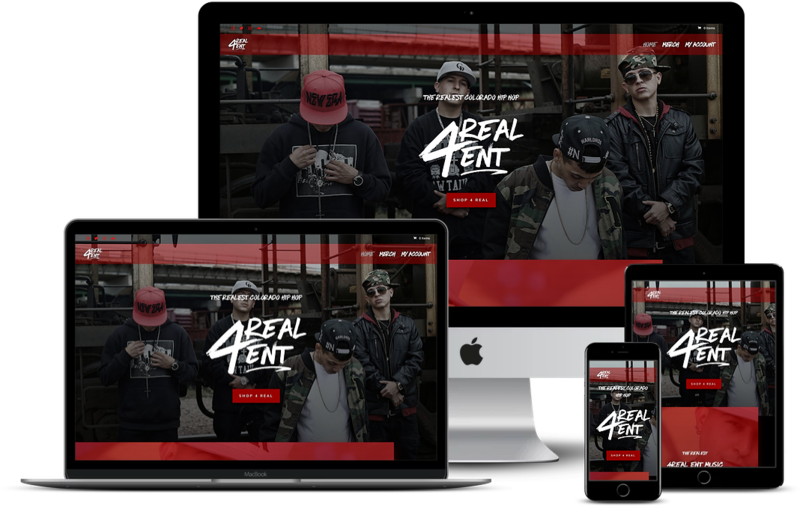 By developing this hip-hop record label website design, 4Real Ent is now able to generate notoriety with their music with this sleek homepage, clean video landing page, distraction-free cart page, and optimized checkout experience.  They also have the ability to sell their merchandise without having to purchase any inventory. 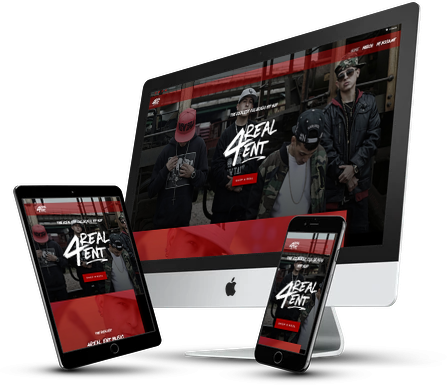 When the manager of 4Real ENT contacted us, he was in need of a website design that could generate fans, sell merchandise, showcase their music videos, and have their fans be able to download their music. We started by piecing together the branding with their logo design and merchandise. From there, we created this modern, powerful website design to showcase their music and music videos. The 4Real Ent logo was designed to be bold, hip-hop related, and have to ability to leave a lasting impression. 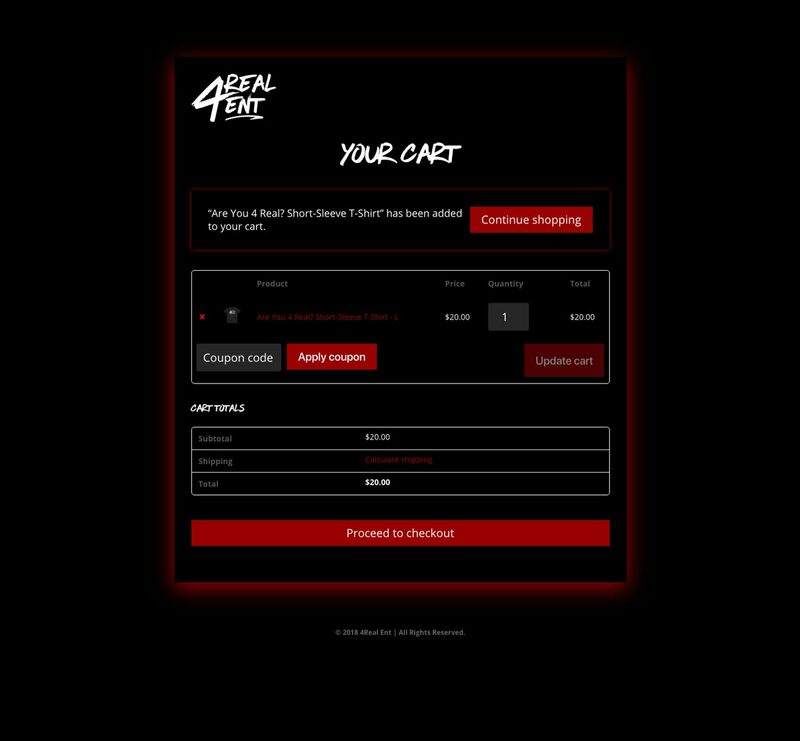 4Real ENT has also had us design the “Product of the Plot” mixtape cover, youtube thumbnail for “Bad Company”, a single cover, and a few other graphics. 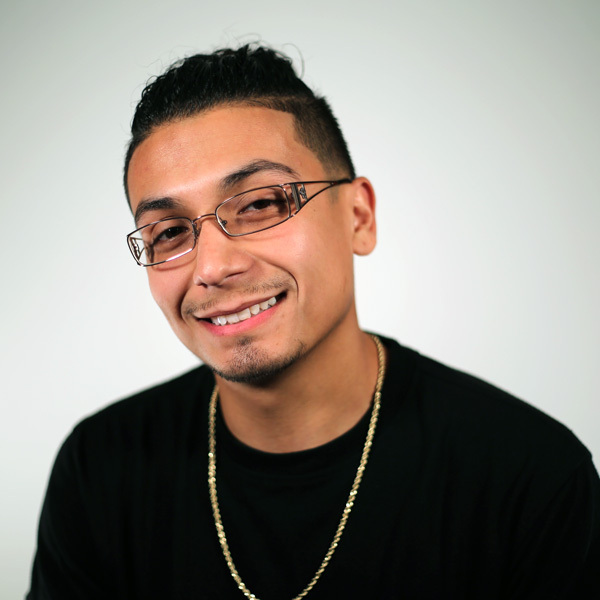 We went out with the 4Real Ent artists with our photo equipment for a photoshoot around Denver. Their social media pages for their music are dominantely displayed as the call to action on the very bottom of the homepage.